The benefits of drinking enough water are well-documented. Water helps you have more energy, eat (or drink) fewer empty calories, keeps skin looking good, keeps your kidneys healthy, keeps the body cleansed, and helps prevent headaches, just to name a few. Being aware of water intake is wise year round. 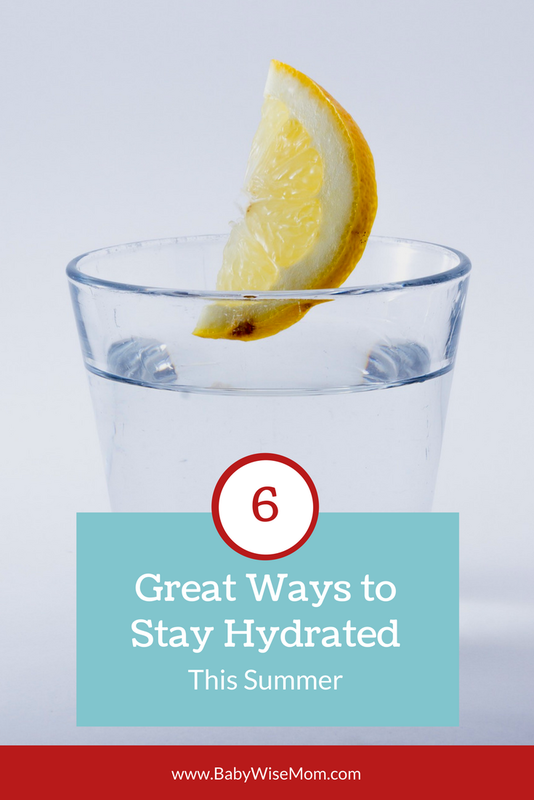 It is especially important in warm weather to drink enough water. 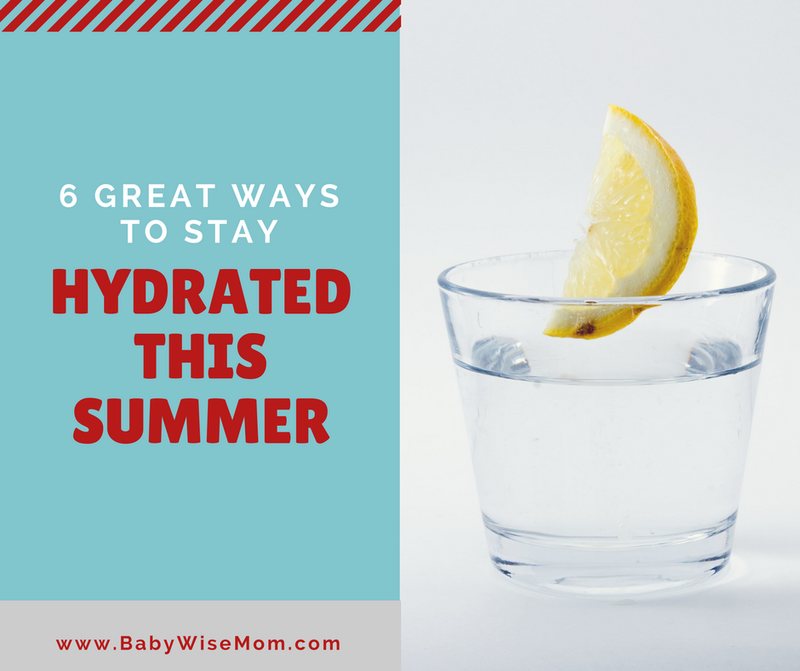 Dehydration, heat exhaustion, and heat stroke are all concerns, and the warmer it is, the more water you need. 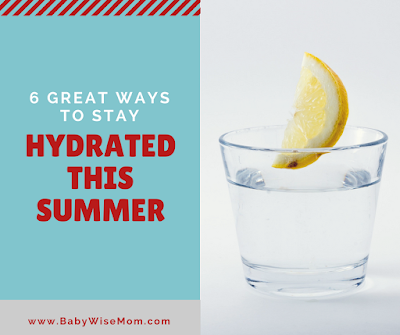 Here are some ways to stay hydrated this summer. This post contains affiliate links. I don’t mind the taste of just water, but I love it even more with some essential oils. My favorite is lime or lemon. The citrus oils are all great options, including orange and grapefruit. You will want to experiment to see what you like. A bonus for me with the lemon this May has been helping my throat irritation due to allergies. If you really don’t like water, essential oils are a great way to flavor it without packing in calories. A big reason I use doTerra essential oils is because they are safe to consume. If you put essential oils into a cup, you want it to be stainless steel or glass, not plastic. I drink a lot more when my filter in my refrigerator is not past-due to be changed. There are places I have visited that I have to gag the water down to drink it. If you have a hard time, try filtering your water. You can use a Brita water system if you don’t have filtered water in your fridge. I use an app to track my water. I have way too much to remember and think about each day–I will not be able to remember how many glasses of water I have had that day. I use an app called WaterMinder. I also use my Fitbit app to track water, but that is only helpful if you have a Fitbit. Do you drink more when your water is room temperature or cold? Somewhere in between? For me, I always thought it was room temperature, but as I started tracking. I realized I drank more when I added ice to my drink, especially in the summer. I can drink a lot at once easier if it is warmer, but I drink more overall if it is cold. Be sure you have water with you. Keep your favorite water bottle with you as you move about the house. Take it with you in the car. If you are going to be gone for an extended period, be sure you have a water bottle with you so you can drink throughout the day. When I am drinking enough throughout the day, I must go to the rest-room once an hour. That can vary from person to person based on your bladder and such. Know how often is right for you and that can help you gauge if you are drinking enough or not.